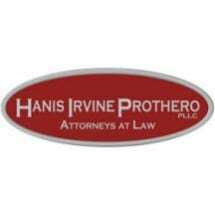 Hanis Irvine Prothero, PLLC was created to provide all of the benefits of a multi-service law firm in the heart of South King County. We represent people from many nations and many sectors of the community. We are determined to provide exceptional service to our clients in a wide array of legal issues while maintaining the highest professional standards. Our goal is to deliver intelligent and responsive counsel and advocacy at a reasonable and competitive price.